Nestled amongst great tall pines for which the Kawatha region is known, Tall Pines is another very popular cottage for families with children. It is adjacent to the beach areas, situated directly on the waterfront, offering a great vantage point for watching children as they play on the beach, swim in Lake Kasshabog’s clear waters or play with one of many watercraft toys provided to our guests. 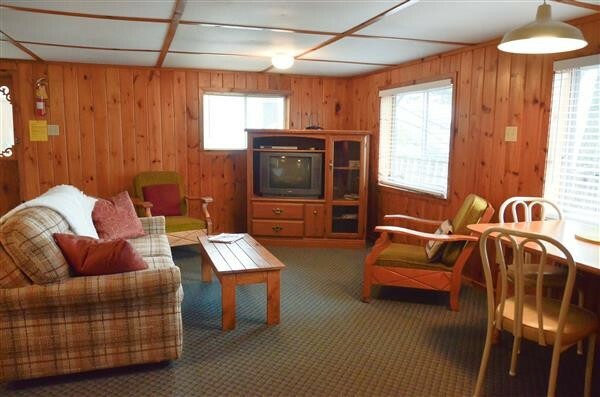 Inside Tall Pines, guests will appreciate the large living room/ kitchen area perfect for family fun or entertaining. 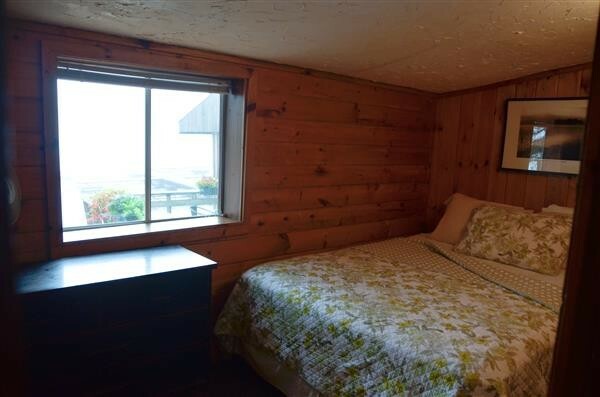 This family cottage features two bedrooms consisting of queen size bed in bedroom no. 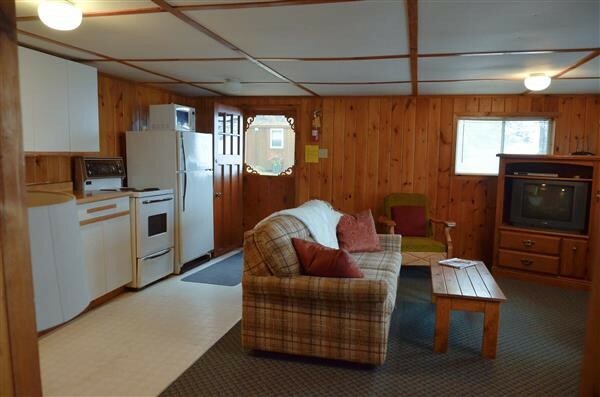 1, a set of twin size bunk beds in bedroom no 2 and a double pull-out sofa bed in the living room. 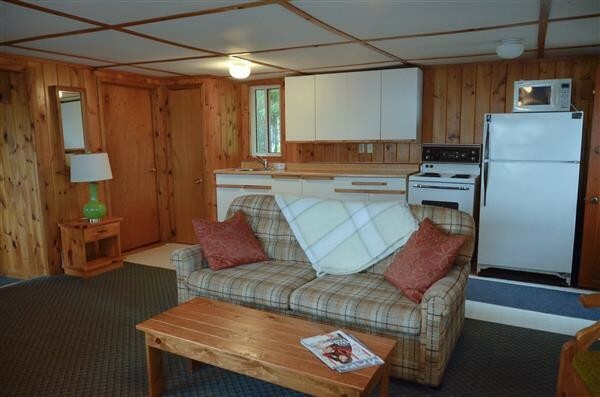 There is a 3 piece bathroom with shower. 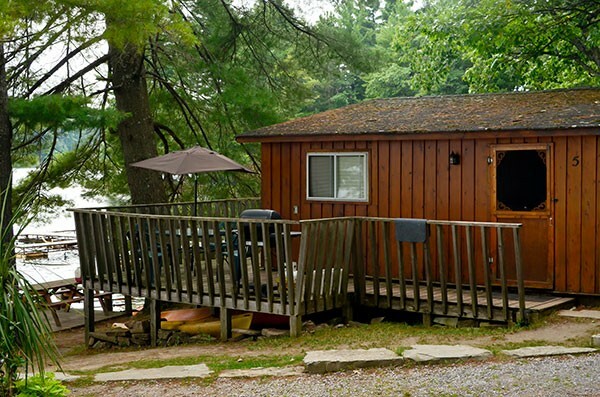 Tall Pines enjoys a shared campfire area, overlooking Lake Kasshabog, for evening campfires.